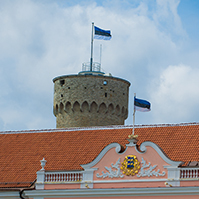 The Riigikogu passed with 71 votes in favour (1 abstention) the Flag of Estonia Act (470 SE), initiated by the Constitutional Committee, which stipulates the form of the Estonian flag and its description and the conditions of and the procedure for the use of the flag. The purpose of the Act is to use the flag according to the new principles. Pursuant to the Act, the regulation of the flag of Estonia as national flag is established for the state agencies and to the local government institutions, and to private persons the freedom of the use of the flag of Estonia as national flag. The Act provides for the hoisting of the flag of Estonia on residential, business and office buildings on the Independence Day, Victory Day and on the Day of Restoration of Independence. The Act enters into force on 1 January 2006. Beginning from 1 September 2005 a provision enters into force which provides for hoisting of the flag on the buildings of basic schools, upper secondary schools, vocational educational institutions, institutions of professional higher education and universities on all schooldays. 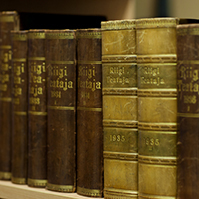 The Riigikogu passed with 75 votes in favour the Family Law Act Amendment Act (528 SE), initiated by the Government of the Republic, which enhanceses the possibilities of the persons staying abroad to participate in legislative proceedings of divorces or establishment of child?s filiation taking place in Estonia. The Act entitles all the consular officers of Estonia to authenticate applicationsfor divorce and recognition of a child. 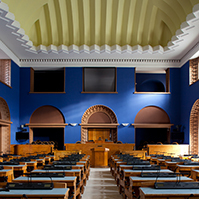 The Riigikogu passed with 79 votes in favour the Aliens Act Amendment Act (551 SE), initiated by the Government of the Republic, which enables to issue visas for long visits (D-visas) in cases and on conditions not established by the Aliens Act, but proceeding from Estonia?s international agreements. The Riigikogu passed with 78 votes in favour (1 abstention) the Traffic Act Amendment Act (541 SE), initiated by Members of the Riigikogu Peep Aru, Robert Lepikson, Mart Opmann and Sven Sester. The Act provides for the amendments with regard to parking regulation and age limits in connection with the right to drive. On the motion of the Union representing Estonia in the International Federation of Automobiles (FIA) the right to drive a car of B-category may be given to a 17-year car racer, holding an international driving licence, whose participation in international races requires the possession of a driving licence and who has limited right to drive a car of B-category. The Riigikogu passed with 87 votes in favour the Code of Criminal Procedure Implementation Act, Forensic Examination Act and Prosecutor’s Office Act Amendment Act (538 SE), initiated by Member of the Riigikogu Koit Prants. The Act specifies the term of translation of foreign language documents included in criminal files in and qualification requirements set to directors of forensic institutions. The Riigikogu passed with 60 votes in favour the Act on Amendments to the Act on the Accession to the Convention on Jurisdiction, Applicable Law, Recognition, Enforcement and Cooperation in Respect of Parental Responsibility and Measures for the Protection of Children (560 SE), initiated by the Government of the Republic, with which Estonia fulfils the obligation arising from the Resolution of the European Union Council of 19 December 2002. The Act is supplemented with a declaration, proceeding from which Estonia acknowledges and fulfils the resolution of the court of a EU Member State in matters regulated by the Convention, pursuant to the relevant provisions of the Community law. 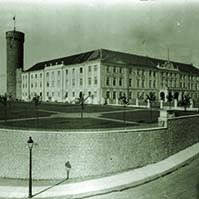 The Riigikogu passed with 50 votes in favour (11 votes against, 1 abstention) the Resolution of the Riigikogu On Building the Victory Monument of the War of Independence (367 OE), initiated by the Isamaaliit Faction, the Union for the Republic ? Res Publica Faction and the Estonian Reform Party Faction, which provides for support for the erection of the Victory Monument of the War of Independence (Freedom Monument) at Vabaduse Square in Tallinn. The Bill on Amendments to the State Fees Act (580 SE), initiated by the government of the Republic. The Bill on Amendments to the Income Tax Act, Social Tax Act and Taxation Act (596 SE), initiated by the Government of the Republic. 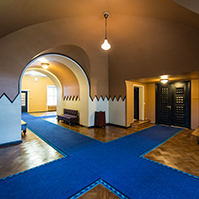 The Riigikogu did not pass the Draft Resolution of the Riigikogu On Erecting a Freedom Memorial (361 OE), initiated by the Estonian People?s Union Faction, Estonian Centre Party Faction, Reform Party Faction and Social Democratic Party Faction. 30 members of the Riigikogu were in favour of the passage of the Resolution, 32 against it and 2 members abstained. The Bill was withdrawn from legislative proceeding. 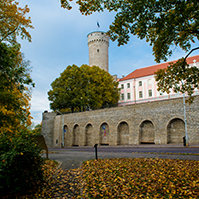 The Bill provided for support to erect a memorial symbolising the fight for freedom of the Estonian nation near Tallinn Song Festival Ground. On the motion of the Social Affairs Committee the Tobacco Bill (350 SE), initiated by the Government of the Republic, was not deliberated. At Question Time Minister of Culture Urmas Paet, Minister of Internal Affairs Margus Leivo and Minister of the Environment Villu Reiljan answered the questions submitted.